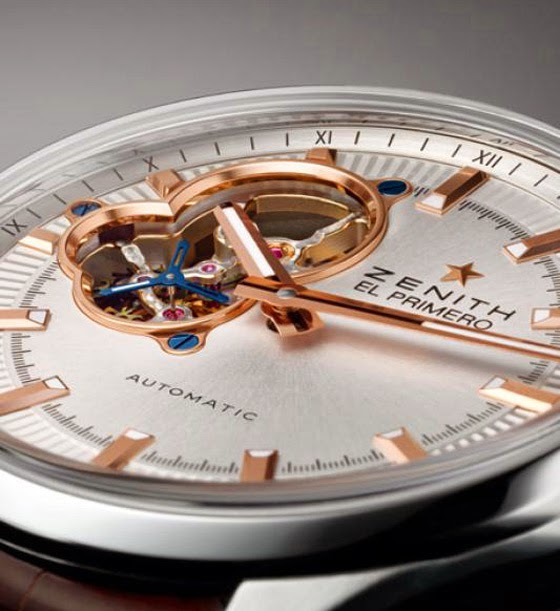 A BaselWorld 2014 novelty from Zenith, the El Primero Synopsis is a 3-hands watch with an opening on the beating heart of the movement, the automatic El Primero 4613 with silicon escape-wheel and lever. 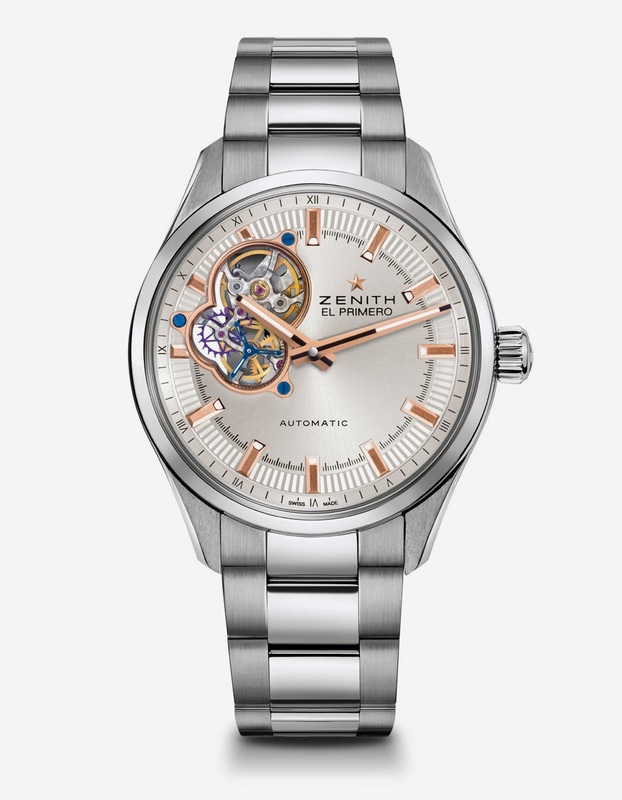 As the Synopsis name suggests, this watch well summarizes some of the key strengths of the Zenith El Primero production. In fact, thanks to the dial opening, it will be possible not just listening to the fast 36,000 vibrations-per-hour beat of the El Primero calibre but also watching it. For sure, a fascinating show. 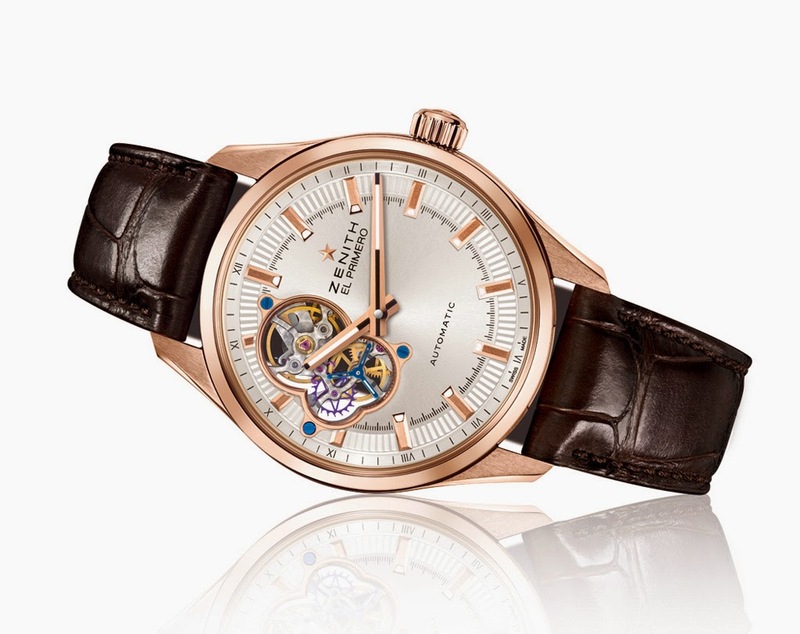 The 40 mm case, available in stainless steel or in rose gold, frames a silver-toned sunray dial. Hands and hour markers are made of gold-plated rhodium with Super-LumiNova treatment. Thanks to the screwed-in crown, the watch is water resistant to 10 ATM. 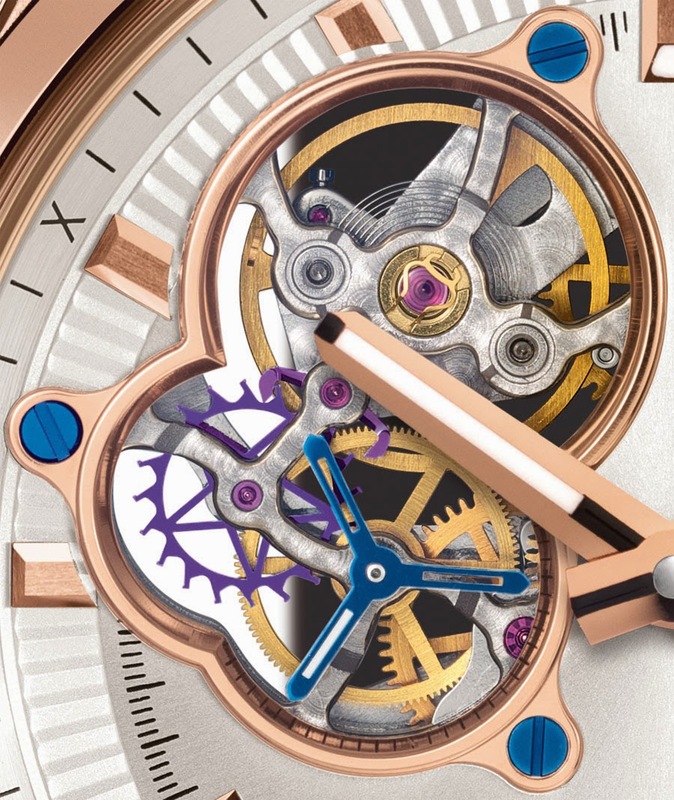 The sapphire crystal case back displays the movement with its oscillating weight finished with Côtes de Genève patterns. The El Primero 4613 offers a power reserve of 50 hours. 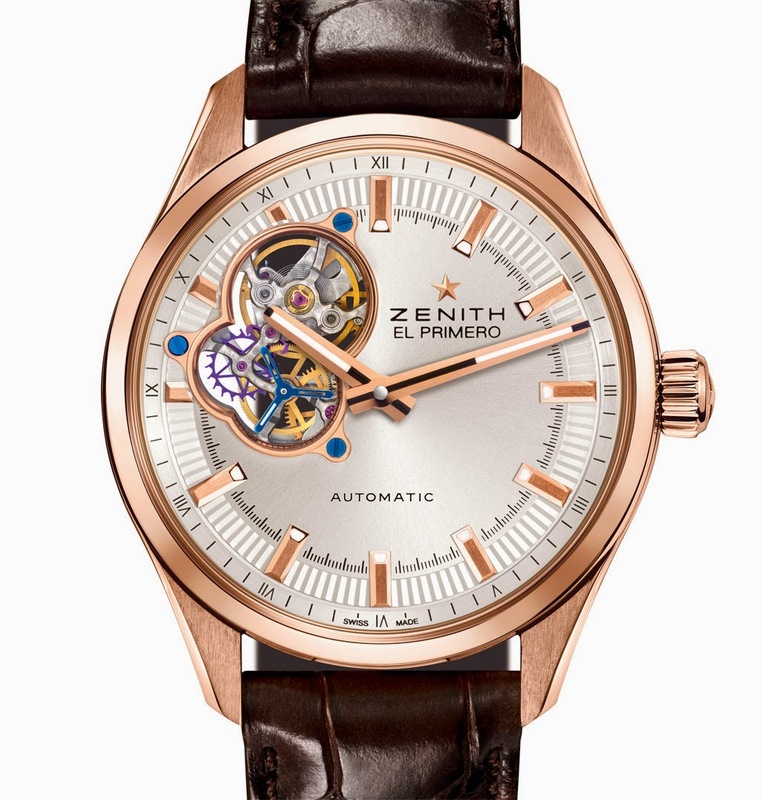 The Zenith El Primero Synopsis can be matched to a brown alligator leather strap with protective rubber lining or to a metal bracelet. 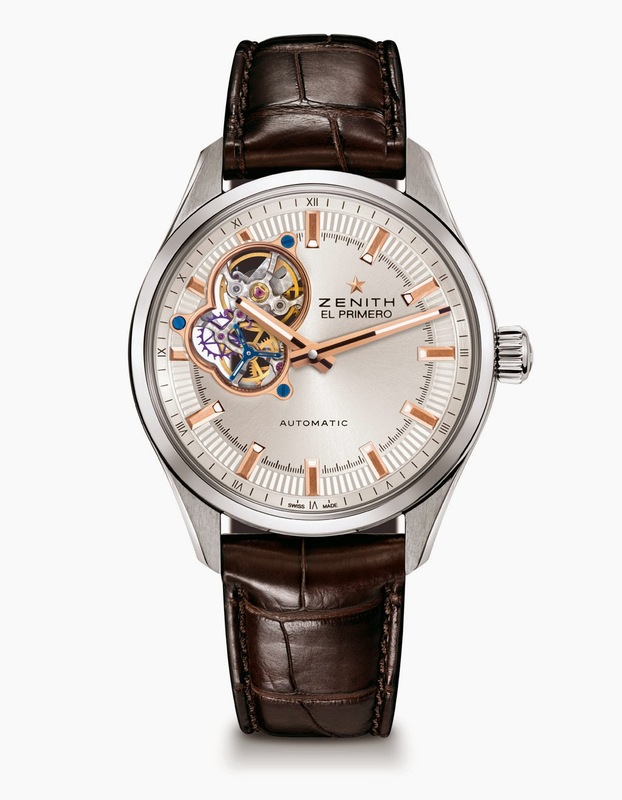 A BaselWorld 2014 novelty from Zenith, the El Primero Synopsis i a 3-hands watch with an opening on the beating heart of the movement, the automatic El Primero 4613 with silicon escape-wheel and lever.